Here’s a short example that uses the MouseDown, MouseMove and MouseUp events to move a user interface element around on the screen. 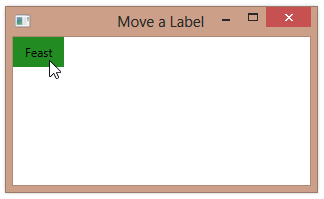 We place a Label in a Canvas and then bind its position to a couple of properties that keep track of the desired X and Y position of the label. 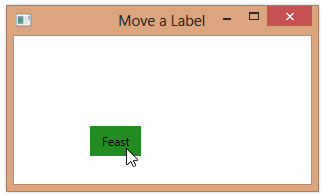 The properties derive from a base position for the label, plus the current mouse position.